By the way… what does “riveting” mean??? Also: check out this site- I wrote an article on it!!! Riveting means either putting rivets into something or, in this case, really interesting. Compile them into a book… or some kind of regular paper-based publication for news..? I bet your name is Noel. Pauline is so jolly in the first pannel! 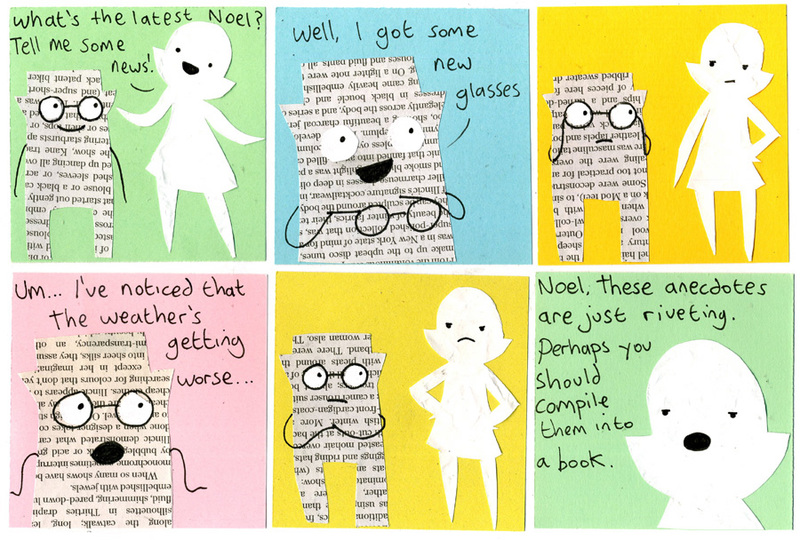 Noel looks just adorable in the fifth panel. Poor guy. Aww, how cute does Noel look in the 2nd panel? Mean Pauline strikes again. Grr. so, are we especting “Joel News Life” book soon? This just in, pauline is a beeyotch, in other news, ”the life of joel”’ is now available on paperback at a newspaper stand near you.